Tesco is ramping up its online division in the UK, as part of its plan to invest £1bn following disappointing sales in Britain. Tesco is ramping up its online division in the UK, as part of its strategy to invest £1bn following disappointing sales in Britain. Tesco said it was planning a £150m investment across all its dotcom businesses in anticipation of further migration of customer shopping habits online. 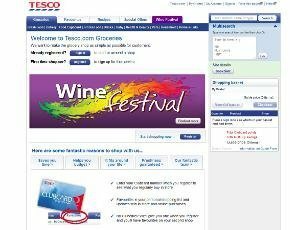 The news follows Tesco’s recent launch of the Marketplace section of its website, which will enable third-party retailers to sell products through the site with Tesco taking a percentage off each transaction. A much greater expansion of the product range and further platform upgrades are planned in the months ahead, said the company in its results statement. The company is reported to have been working on its Marketplace offering for a number of years, in a move which could position the supermarket chain in direct competition with Amazon. Tesco announced an overall pre-tax profits increase of 5.3% to £3.8bn in the year to February for the group, but profits in the UK dropped 1% to £2.5bn compared with the same period last year. The company added that it has also doubled the number of products available on its website, bringing the total available to well over 75,000.